Farmer Stone doesn’t look after his new pony, so Poppy takes her apples to eat. But when the pony comes to stay at Apple Tree Farm, everyone’s happy – especially Poppy! 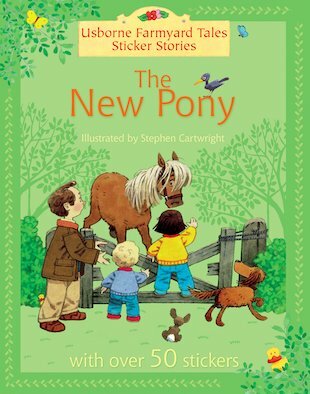 An interactive sticker story from the popular Farmyard Tales series, with puzzles and over fifty stickers.